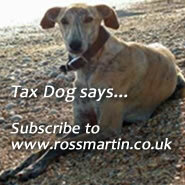 It's the Budget next week, so I won't ramble on too much as you probably have more than enough emails about tax. We have had a mass of queries in recent weeks ranging from advice on management buyouts to reorganisations and share schemes. A regular feature of cases is that companies have created multiple share classes with different rights. Trying to unravel these is not always so easy. The employment related securities (ERS) rules can kick in if the shareholder is an employee. Where the shareholders are family members, and so hopefully outside of ERS, you have to consider Capital Gains tax instead. I've just been writing up a case this time where a family company brought in an outside shareholder. He failed to secure CGT Entrepreneurs' Relief on a later disposal of the company because he didn't own voting shares. Pretty obvious really. Aside from CGT if you are familiar with NICs you might also be worried about HMRC applying NICs to your dividends. The answer is to try and avoid non-voting shares, if possible. Also this time, check out the accountant licencing case. Although it's about a closure notice, the enquiry was all about goodwill and who owns it. A hot topic that is the subject of several test case appeals. Penalties, never a week without an appeal. Do check out the Director's guide: who needs to file a tax return? If you have any tax queries please do try out our Virtual Tax Partner support portal at www.VtaxP.co.uk. The Office of Tax Simplification (OTS) has undertaken a review of taxpayer guidance which complements a separate review currently being undertaken by HMRC on the structure and content of its 219 manuals. Our tool is updated for the new timetable allows you see when and if you need to worry about Making VAT Digital, if you can claim exemption or deferral. UPDATE: ER is a Capital Gains Tax (CGT) relief which is available on qualifying business disposals, including the disposal of shares in a trading company. UPDATE: when a company has different classes of share it can establish different sets of rights attaching to each type of share. This may be a bad thing when it comes to selling the business or reorganising it. UPDATE: Just when can you apply to the tribunal to close a tax enquiry that is rumbling on and on with no conclusion? Is it worth applying for one? Directors: Do I need to file a tax return? Do I need to file a self assessment tax return? What if I am a director? Can HMRC make directors file tax returns? When should I file a self assessment return? UPDATE: As we are now in tax return season and these can be tricky we have added more details on applying for a recalculation of the gain on the partial surrender of a bond where the result is disproportionate to the economic gain. UPDATE: We have added more information on the cleansing rules ahead of the 6 April 2019 deadline. In HMRC v A taxpayer (ex parte)  TC06710 the First Tier Tribunal (FTT) did not approve a third party notice under schedule 36; the recipient was the taxpayers’ auditor who also prepared their corporation tax returns and the protection for audit papers applied. In Rajendrakumar Patel v HMRC  T6735the FTT granted an application for a closure notice. A self assessment enquiry into goodwill and licence fees had drifted on aimlessly and HMRC acknowledged that they were not able to raise an assessment on the taxpayer under review. In Dieno George v HMRC  TC6678 an employer's procrastination in changing its chief executive's non-voting shares into voting shares scuppered his claim for Entrepreneurs' Relief on disposal of the business. Equity could not prevail to alter the CGT rules. In The Wellcome Trust Ltd v HMRC  TC06761, the First-Tier Tribunal (FTT) concluded that the charity did not have to account for VAT under the reverse charge as the costs did not relate to an economic business activity. In HMRC v Stoke By Nayland Golf and Leisure  UKUT 308 (TCC), the Upper Tribunal (UT) found that a member’s golf club was not commercially influenced by the adjacent hotel. VAT exemption on green fees applied. NEW: our new guide on imports, exports, EU acquisitions and dispatches. UPDATE: for deferrals and pilot.